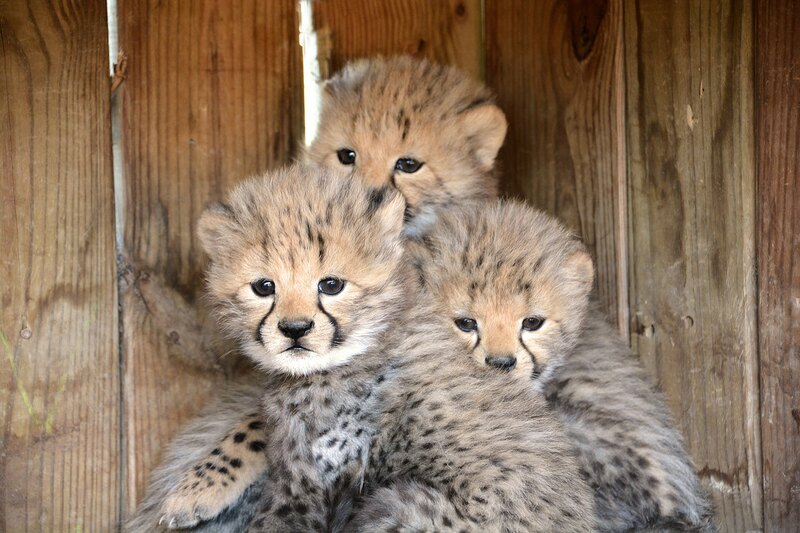 The Metro Richmond Zoo is excited to announce the arrival of 13 new cheetah cubs! On March 21, 2016, Milani, a second time mom, gave birth to 3 cubs (2 males and 1 female) sired by Hatari. On April 1, 2016 Vaila, a first time mom, gave birth to 7 cubs (this number only happens 1% of the time in cheetah births) sired by Hatari. Unfortunately, Vaila’s inexperience as a mom showed when she did not clean the birth sac surrounding one cub and it did not survive. Also, one was born with a deformity and only lived a few hours. The remaining 5 are doing well. On April 2, 2016 Wiay, a first time mom, gave birth to 6 cubs (only happens 8% of the time) sired by Kitu. Because of her inexperience, she accidentally laid on one of the cubs shortly after birth and it did not survive. Initially Wiay’s cubs did not gain weight and thrive as well as they should. We weighed them every day, sometimes twice a day, and gave them medical attention as needed. The 5 are now all doing well with mom. Cheetah’s are endangered and the wild cheetah population is in a drastic decline with only 7,500 now left in the wild in small pocketed areas in Africa. 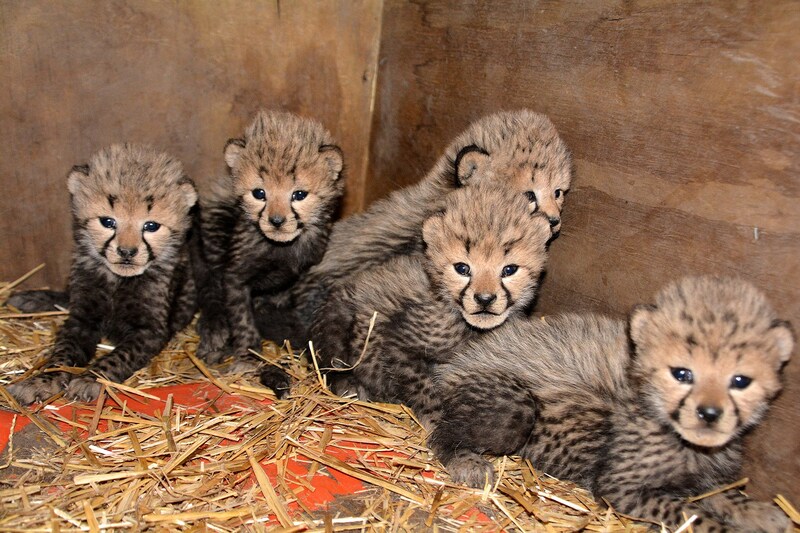 Breeding cheetahs in captivity is very challenging, with only a small portion of the population reproducing. 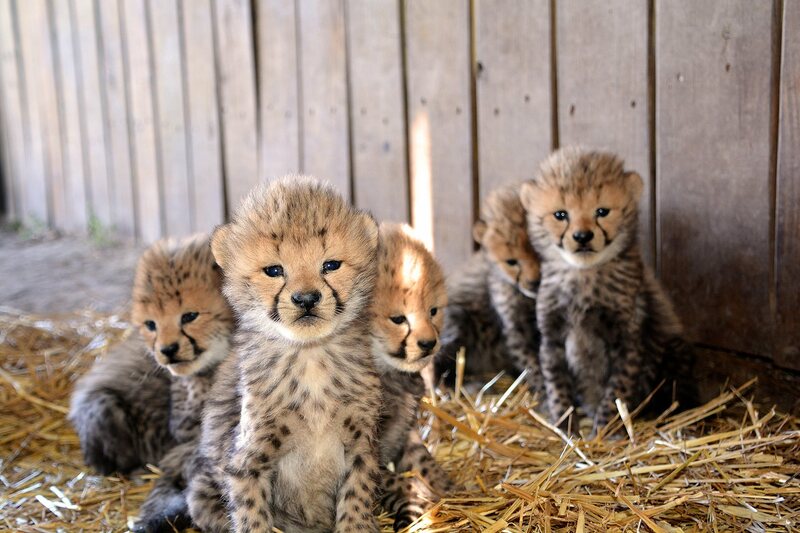 The Metro Richmond Zoo has had tremendous success in breeding cheetahs. In the last 2 1/2 years we have had 36 cubs born from seven litters making a significant addition to the captive cheetah population. 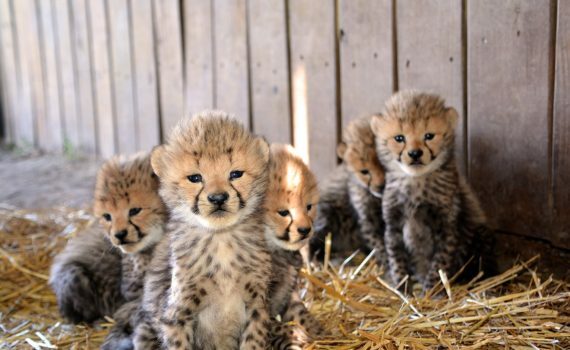 In addition to the number of cubs born, most of the adult cheetahs here are unrelated to the other Cheetahs in North America so the genetic value of these cubs for future breeding is extremely high. We are excited to make such an contribution towards Cheetah conservation here at the zoo.